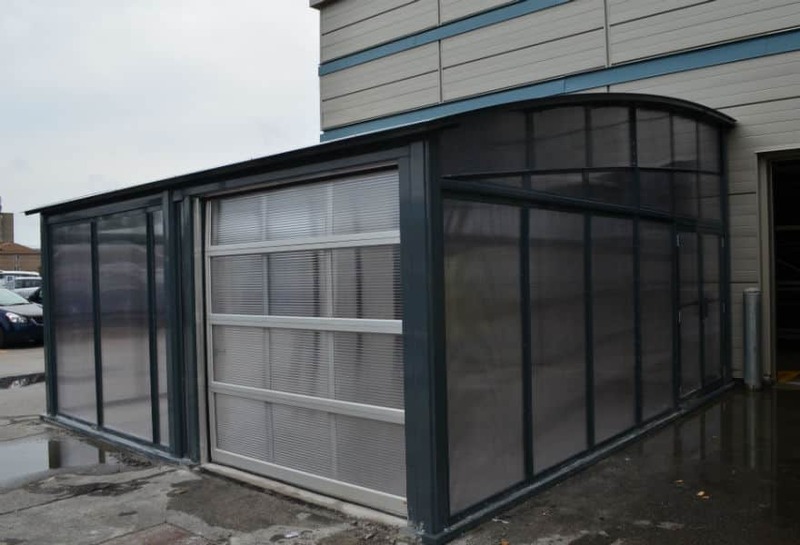 These shelters are ideal for outdoor storage or for covering an unloading area. 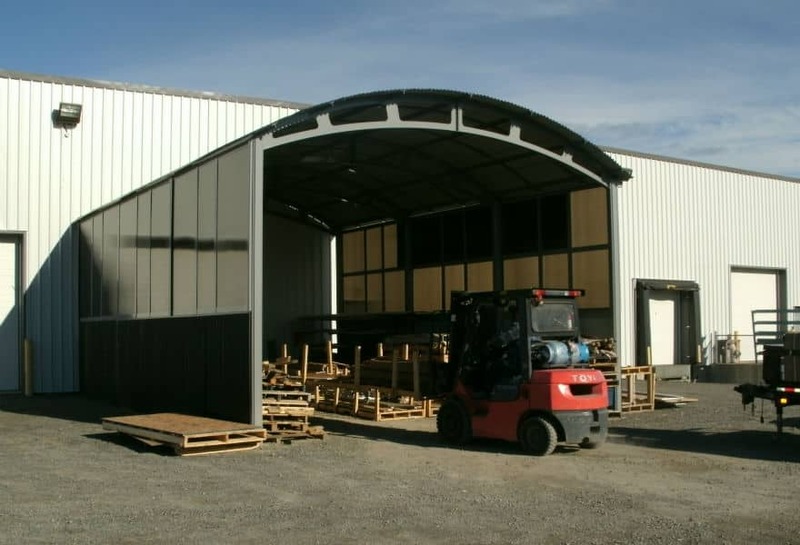 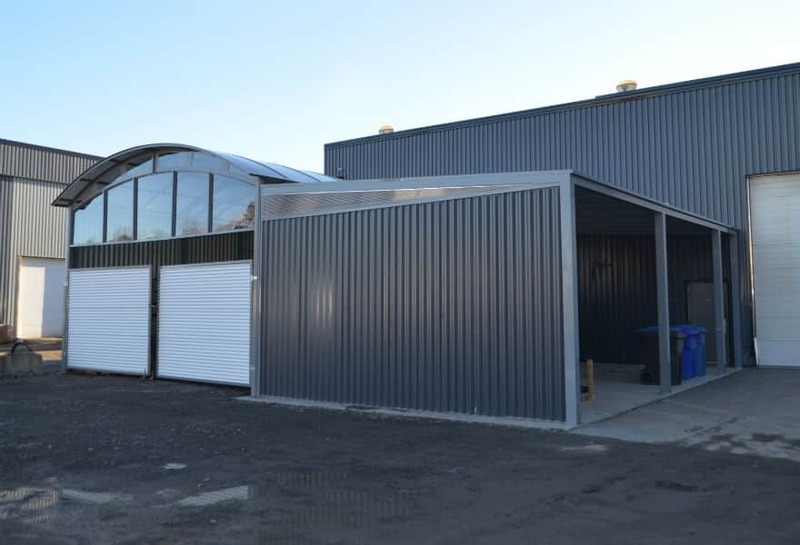 If you don’t want to invest in a costly expansion, we can construct for you a commercial building set on sonotubes or on a concrete base that can be moved as required. 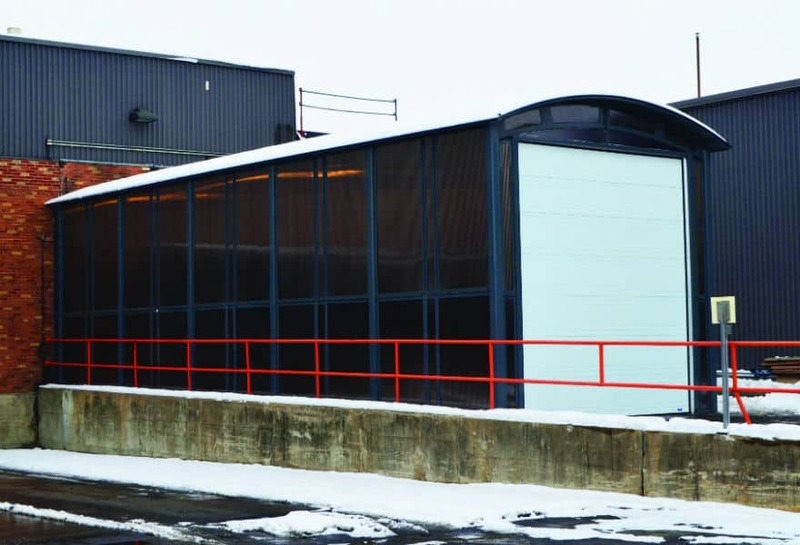 Our Tendal shelters can be built with 14 ft.-high columns, allowing tractor-trailers to freely circulate underneath. 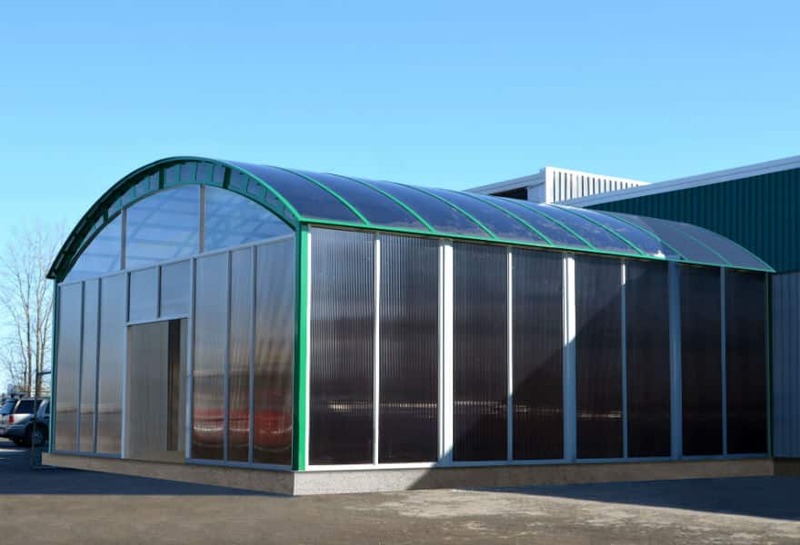 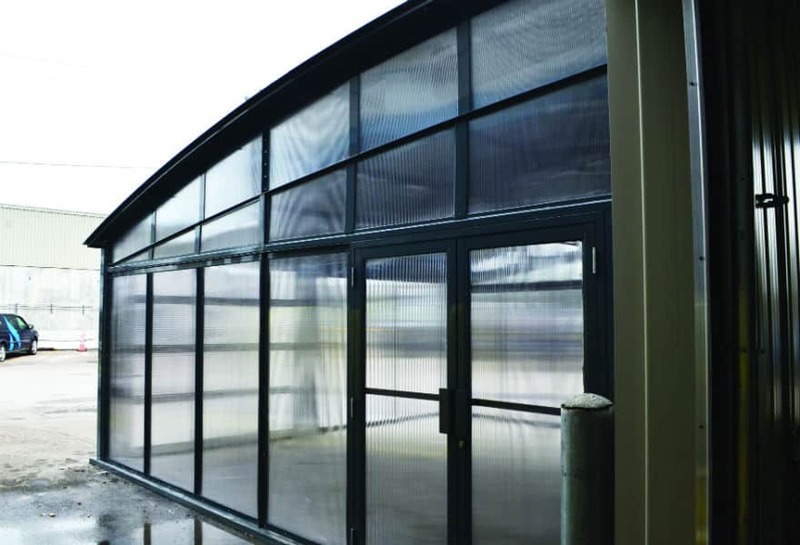 Our aluminum and polycarbonate wall systems will provide you with a secure and bright environment at low cost. 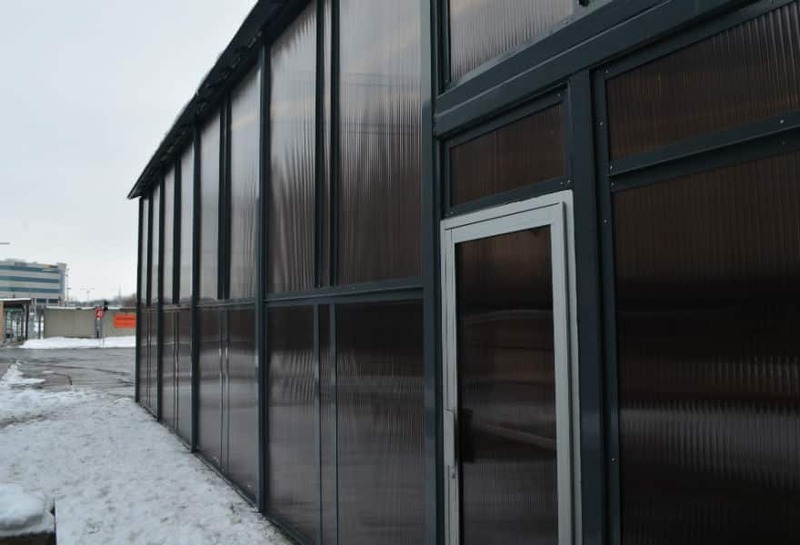 It is also possible to close the walls with sheet metal or canvas covers. 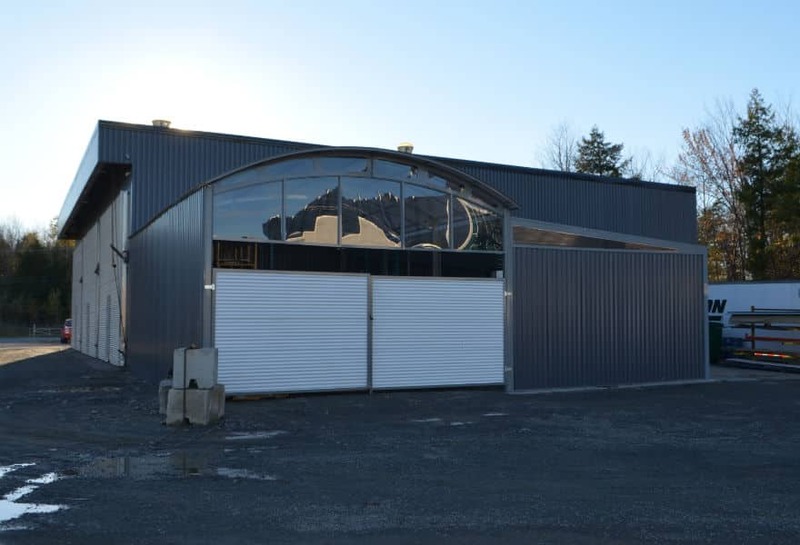 The building will be adapted to your needs. 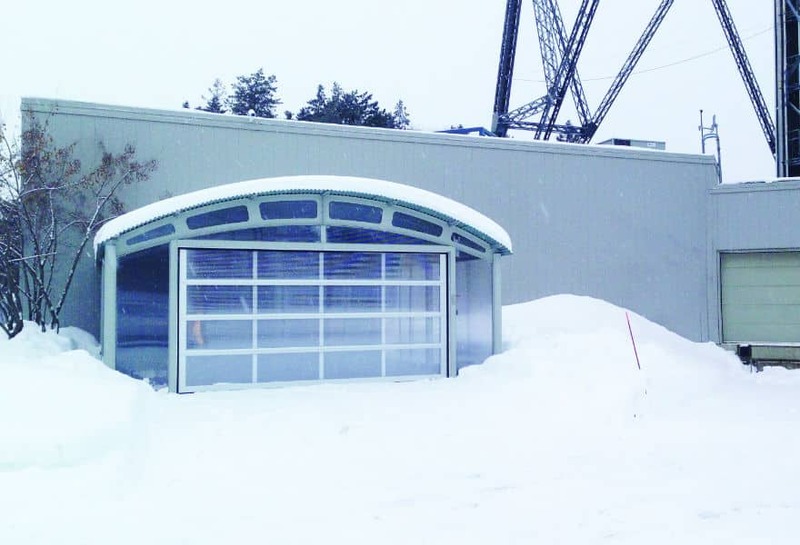 Want more information on our storage shelters ?